FOX just confirmed more names for the 2018 Teen Choice Awards. Lauren Jauregui will not be the only Fifth Harmony member appearing during the 2018 Teen Choice Awards. In a Tuesday press blast, FOX confirmed that Normani will also be part of the lineup. 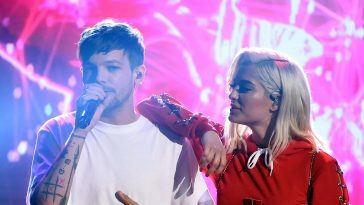 Other names set to appear during the broadcast include Louis Tomlinson, Zac Efron, Chris Pratt, Lil Rel Howery, Jessica “Jess Hilarious” Moore, Oliver Stark, Ryan Guzman, CNCO, Bryce Dallas Howard, Anna Kendrick, cast members from “Riverdale” and “Love, Simon,” Sabrina Carpenter, Auli’i Cravalho, Noah Cyrus, Nina Dobrev, Red Gerard, Grant Gustin, Lucy Hale, Olivia Holt, Maddie Ziegler, Hudson Yang, Jojo Siwa, In Real Life, Chloe Kim, Chloe Grace Moretz, Troye Sivan, On My Block, Sierra Capri, Jason Genao, Brett Gray and Diego Tinoco. It is important to note that FOX says that these celebrities will be appearing rather than attending. While most of the names will surely be in attendance at the ceremony, it is possible some of the aforementioned names will appear via satellite or pre-taped video packages. The performer lineup includes Bebe Rexha (performing “I’m A Mess”), Evvie McKinney (performing “How Do You Feel”), Meghan Trainor (performing “Let You Be Right”), Khalid (performing a medley), and Lauv (performing “I Like Me Better”). Nick Cannon is hosting the broadcast, which airs on FOX at 8PM ET/PT on August 12. Lele Pons will be the co-host. “Total Bellas” Renewed For Season 4 At E!